Summer vacation is the most fun time of year for most kids. 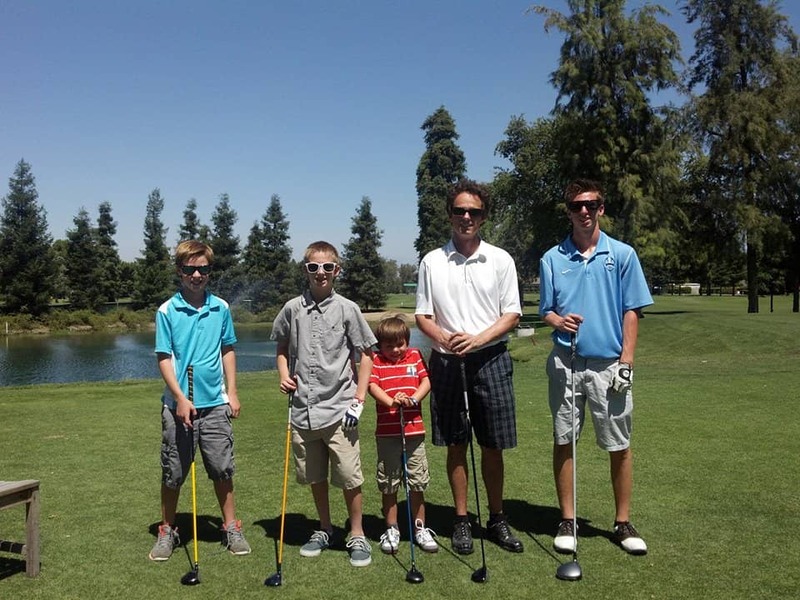 Maybe it’s all about going outdoors, staying up late, swimming at the lake, or playing a round of golf – which is where Dr. Bodensteiner likes to take his boys during the summer. However, not to be neglected are some faithful friends you desperately need long after the sun-soaked days of summer are over. Who are they? Your teeth! The new school year is like a clean slate just waiting to be filled with good memories, and opportunities for growth and adventure. That’s why we and your leading dentist in Visalia want to remind you of the importance of booking your professional teeth cleaning and checkup for your children —before the rush on the new school year is upon us. Why Take Your Children to Us? It’s our goal to safeguard dental health and overall being, and this can be accomplished by educating your children about all aspects of oral health and dental care. All of our treatments are customized to each patient’s needs. When it comes to your children, our hygienists will make sure to encourage dental care in a fun, informative way. By promoting excellent dental care at an early age, the foundation of your children’s smiles will be healthy and beautiful for a long time! Healthy teeth do more than provide your child with an opportunity to show off their smile for their school photo. They enable your child to be more confident, allow for easier social development, and help to promote good health. Studies have shown that the state of oral health is directly linked to overall health. Dental infections can spread to other areas of the body, inflicting harm. Gum disease has been linked to such conditions as diabetes, heart disease, early labor, miscarriages, and low birth weight. The good news is that tooth decay and other oral health issues experienced by children are by and large preventable. Healthy teeth are much more appealing than being self-conscious about their grin, coping with the discomfort of cavities, and missing days of school from pain and infection associated with tooth decay. Avoid allowing the hectic routine of summer vacation to become detrimental to your oral health routine. Do your best to help your kids understand the importance of maintaining a healthy smile, and make brushing and flossing fun along the way. As always our dental practice is here to help with any advice that you need. Embrace the summer months and upcoming school year to the full by keeping your families smiles happy and healthy. We’ve created a kid-friendly environment that helps ensure your child’s visit to our dental office is a positive one, so book that summer checkup today. We look forward to seeing you soon!